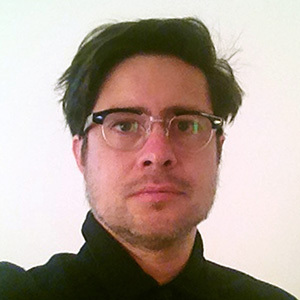 Carlos Vásquez Méndez (Santiago de Chile, 1975) is researcher and artist. BA in Filmmaking (ECdCH/AHC University), MFA in Contemporary Artistic Creation (University of Barcelona) and MA in Creative Documentary Filmmaking (IDEC/Pompeu Fabra University), now he is writing a PhD thesis about the Documentary Turn in Contemporary Art through the Photographic and Filmic Images in the Fine Arts Faculty PhD Programme “The Besieged Reality: Concept, Process and Artistic Experimentation”, under the direction of Dra. Anna María Guasch and with the support of CONICYT (National Comission of Cientific and Technological Research/Chile) Fellowship. His topics of interest are documentary discourses in contemporary art practices, interpretation and representation of reality in art, the boundaries between History and Art, filmic and photographic registration as archives and documentary production. Some of his writings have been published in Blogs&Docs and DOCMA and recently he has joined RevLat (Latinoamerican Visual Studies Network) with the essay “The Expected Past. Obsolescence and Historic Writing in Documentary Film”. As an artist he has specialized in Documentary Photography and Experimental Cinema. His works have been exhibited in several festivals. In 2016 he received the Joris Ivens/Centre National des Artes Plastiques (France) award for his work Pewen [Araucaria].